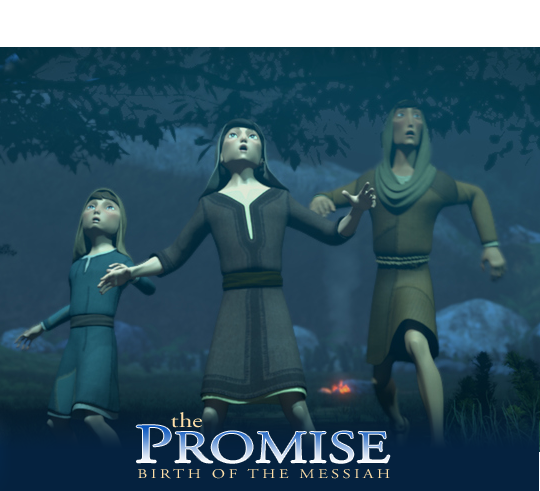 Get more out of the story of Jesus’ birth through this process of contemplate, read, think, pray and watch. Contemplate: What does it say about Jesus that shepherds were the first to receive – and tell – the good news of His birth? Learn – We have looked at many aspects of the Advent of Christ — His birth in a manger, the experiences of Zechariah and Elizabeth, the type of people Mary and Joseph were, angels, and more. The final group of interest is these shepherds to whom God sent the entire host of heaven to tell of the birth of the Messiah. But rather than only look AT their role in the story, let’s consider their inclusion in the story period. I think it is no coincidence they are brought to the manger on the night that Jesus was born. The inclusion of the Shepherds at the birth of Christ highlights the role of Jesus as “The Great Shepherd (Hebrews 13:20).” Like Christ, these shepherds were “not highly esteemed” (Isaiah 53:3), and were constantly guarding their flock to their own peril. Christ would do the ultimate and “give His life for his sheep (John 10:11).” The prominent role of the shepherds in the advent of Christ brought this to the forefront. Finally, the shepherds are the first witnesses to the good news of Christ. They were given the good news of Jesus by the angels, and it says that, “they went with haste and found Mary and Joseph, and the baby lying in a manger. 17 And when they saw it, they made known the saying that had been told them concerning this child.” Without any instructions, they went and told the townspeople the wonderful news. The first evangelists of Luke were marginalized shepherds, given the message by angels. This reminds of another marginalized group, women, who were spoken to by angels, and they became the first witnesses to Christ’s resurrection (Luke 24:1-8). But even the lowly are sinners in need of a Saviour. In fact, we are all equally sinners and separated from our Holy God on the one hand, while being equally valuable as His children made in His image and bought with His blood on the other. It’s quite a mystery, really. But that’s what made the manger and the cross so amazing. God came down and put on human flesh to show us the incredible value that we are to Him, while at the same time He later suffered and died in the flesh, which showed us the incredible depth of our sin that He would need to do so to purchase our salvation. When the angels sang “Peace on earth, good will to men,” to the shepherds, that phrase meant something much more than the kind of peace our culture associates with it. It’s not a peaceful feeling, or a lack of stress. The peace that the angels told the shepherds about was a declaration that a war was over, and hostilities were ended. Man, whose sin was rebellion in the face of a loving, and holy God, was being paid for by God, come in the flesh. If you’ll recall the Micah 2 prophecy we read, that’s exactly what the prophet said that the Messiah-Shepherd would do: “And they shall dwell secure, for now he shall be great to the ends of the earth. And he shall be their peace. That is what led the angels to say, “Glory to God in the highest! 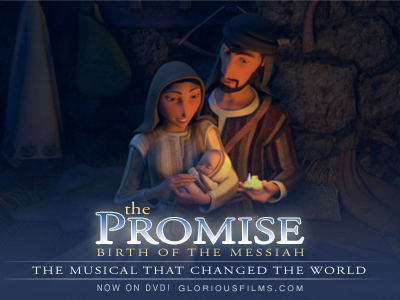 !” and it is what motivated the shepherds to share this great, great news in Bethlehem and beyond. Pray – Lord Jesus, we thank you that we have peace with God because of your work on the cross (Rom 5:1). It is only by your blood that we are forgiven and restored in relationship with God when we call on your name. We thank you for such peace at this Christmas season! Amen. Research for this post was conducted using the Olive Tree Bible Study App. Mary and Joseph looking for a room in Bethlehem. Contemplate – Why wasn’t the timing and location of Jesus’ birth better planned by Joseph and Mary? Think – Despite your best intentions, do you sometimes experience a complete fail when it comes to trip planning? I do. But that doesn’t surprise me, because I’ve never been the best trip planner, mostly because I’m pretty laid back. But when it comes to big events – like the birth of my children – I’ve turned up my planning several notches because it’s so important. That’s why I scratch my head a little when I read the account of Joseph’s and Mary’s trip to Bethlehem and the birth of Jesus in a stable. It seems like the couple suffered from a complete lack of planning, so much so that the entire section from Luke 2:1-7 virtually begs for an explanation. One wonders how Joseph could have put his wife and the unborn Messiah into such a precarious situation by allowing Mary to travel such a long journey so near her due date. 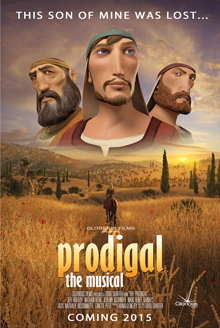 It is also curious how Joseph, whose ancestral home was Bethlehem, didn’t find a cousin to stay with in Bethlehem. 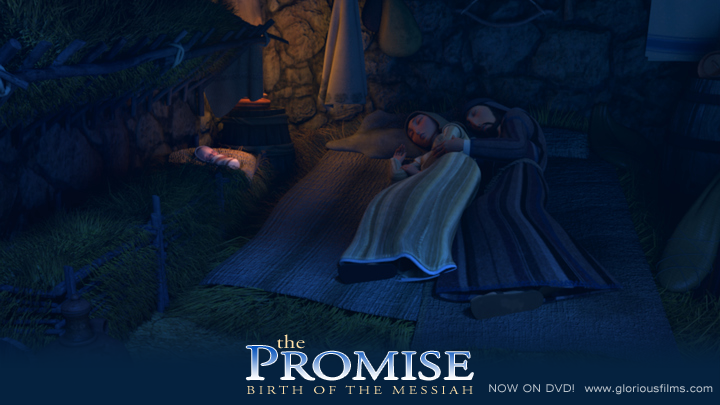 Even so, how could he not find a single home or inn that would make room for Mary to have the baby? 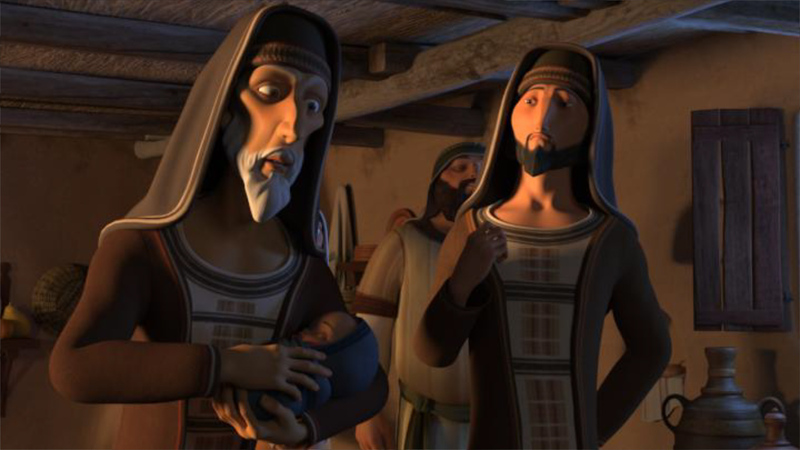 Either Joseph was a complete pushover, or the people of Bethlehem were completely heartless (how can there not be a person would give up a room for a pregnant woman to have a baby?)! What gives? the child was of such incredible significance makes it almost impossible to imagine that Mary would NOT have gone with Joseph. The text may also imply that Mary was required by law to go with Joseph (2:5 says Joseph was “to be registered with Mary, his betrothed). 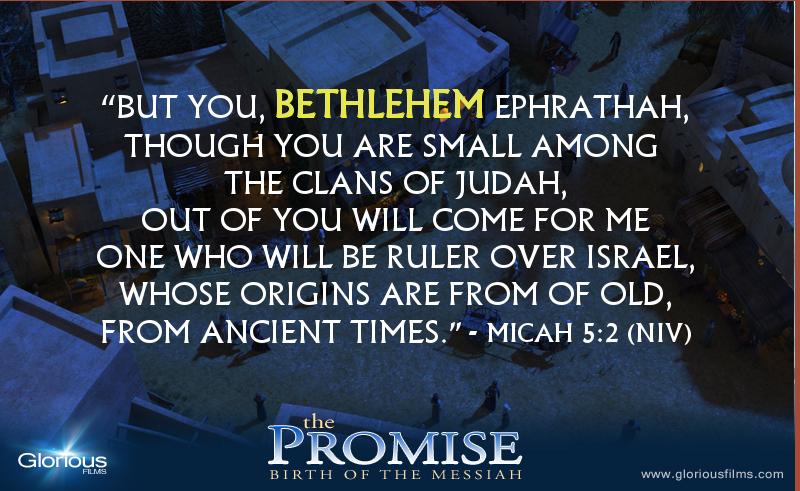 Of course, not going to Bethlehem for the census and defying Roman law was not an option for a righteous couple (and for their own welfare), and it is virtually assured that the couple saw in the Roman decree God’s providential hand moving them to Bethlehem for the birth of Messiah, just as Micah 5:2 had prophesied would happen. But why didn’t they have a better place to stay in Bethlehem? I recently read a blog which tried to explain these difficulties by saying that we just don’t understand the story – that they were staying with family, and it was quite normal to stay in an attached stable, etc. But I think that view misses the point. Mary and Joseph were not in a normal place to have this baby – any baby – and I think Luke is highlighting that in his Gospel. I think there is a practical, and a spiritual explanation for what took place that first Christmas. 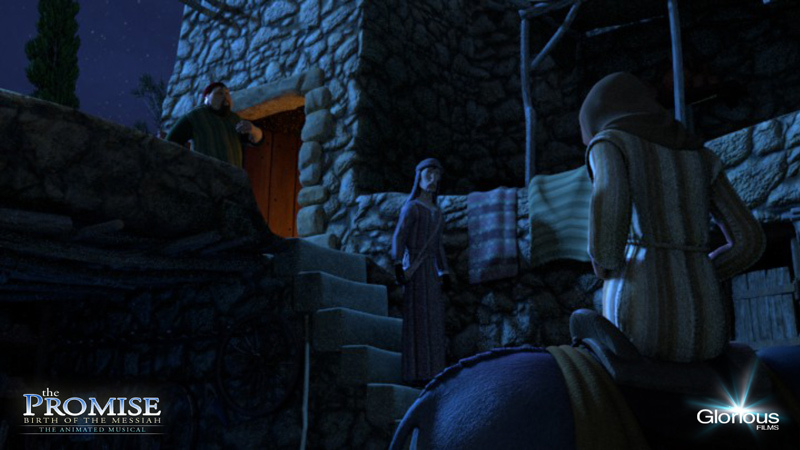 The most likely explanation for their lack of lodging was that the long bumpy journey caused Mary to go into labor earlier than the couple expected, and it was around nightfall when they reached Bethlehem. Mary must have been in labor for the final leg of the journey and was on the verge of having the baby when they reached the outskirts of Bethlehem. There was just no more time to look up relatives, and little time to locate a room. They had come to Bethlehem for a census, and with them a crowd of people had likewise descended on the small town for the same purpose, and Bethlehem was splitting at the seams with visitors. In ancient times, splitting at the seams was almost to be taken literally, as entire families (and their baggage and food) would crowd into tight spaces that modern Westerners would consider a one-person room (I have seen similar conditions first-hand when I lived in East Africa). As Joseph rushed about knocking on a few doors of homes and “inns” (informal lodging places), he was turned away from these overcrowded locations because there really wasn’t any room. There was simply no more time to argue, bribe or force his way into a home; when he was offered an open stable, it was one step better than having the baby in the street, and he took it. It doesn’t take much imagination to think that Joseph and Mary were pretty upset over this horrible turn of events. Birth is supposed to be a joyous, “perfect” occasion, and instead, they were stressed out of their minds finding a place to have the baby and ended up in a barn! 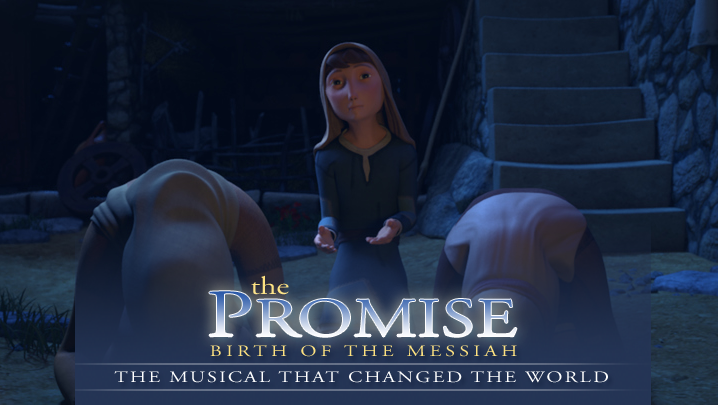 And not just any baby – the Messiah! But this was all God’s planning. He wanted the world to see that He related to the lowliest, not just the greatest. He was also trying to teach us from the start that greatness is not found in the external things like wealth, prestige and worldly honors. Greatness is found by glorifying God and giving one’s life in service to others. Shepherds arrived to worship the Christ Child. I am not sure when the couple realized that this was what God was doing, but it must have hit them by the time the shepherds visited them after Jesus was born — God was doing this on purpose! All of the pieces of the puzzle finally came together. Messiah was born to a peasant girl. His earthly dad was a common carpenter, from a town of no importance (Nazareth). Though he was the second king born in Bethlehem, a son of David, and the King of Israel, not a single home made room for him to be born (John 1:11). His place of birth was not just meager – it was below the lowest of low standards – a stable for animals – and his first crib was a hay trough. The fact that lowly shepherds were the “dignitaries” to whom God sent angels to announce Messiah’s birth, and they were the first to worship Jesus, well, that was the final touch. I think Mary and Joseph grew wide-eyed as this realization set in, then awe-soaked tears and joyful laughter followed. God is not like earthly Kings. He’s not really like selfish people at all. His ways are not our ways. And He loves the whole world so much that He is willing to relate to the lowest of the low in order to save us. The fact that He even let Himself be wrapped in human flesh and go through life as a human being is the most humiliating thing of all. Remember, He is Holy. He is the Creator of the earth! The babe laid in a manger reminds us of the lowly state of humanity, and the exalted love of God to break into history and become one of us lowly folks. It was the ultimate object lesson. Or almost. The ultimate object lesson was to see the awfulness of sin and sinners poured out on this babe-turned-man. Sinners crucified a completely loving, innocent God-man, and the sin of mankind was born in His flesh. God had gone much further than the humiliation of a manger – He had offered Himself as a sacrifice through the shame of dying like a common criminal on a cross. Pray – Lord Jesus, we praise you for your humility, that you, being God, did not hold onto your right as King, but you gave it up to become a peasant like us, and through your life, death, and resurrection, have granted salvation to all who call on your Name! We praise your Name this season, and always! Amen. Today’s devotional is a poem I wrote about the Incarnation, entitled “God Breathed.” There are a few obscure references, but if any of the allusions “allude” you, please post your question in the comments below. Over ancient rocks where Jessie once walked, the beast sure-footedly carried its precious cargo. Its master pointed it toward House-of-Bread, the homeplace of the poet king. It trudged on. The beast’s burden was a pearl of great price, entombed in perfect human flesh, but yet to be seen by any but those who sleep, or dream or walk in fire. Reaching the destination was necessary; the sword, the law, and the prophets demanded it, as did the songs sung by singers. The beast was unburdened and found sustenance without lifting a hoof, but the burden was yet born by the human it carried. The freight she had born within was seeking to be born without. They all bedded down in rude style like Boaz and Ruth before the Goel shoe dropped. The journey was at its end, but the end was yet come. Pains grew to pangs and bore sweet fruit on a bed of hay. As starlight engulfed the night sky in flames of light, an infant caught its first ever breath of cool Judean air. Its first instinct was to expel the air of earth in a powerful cry, but he quickly learned that the exercise only resulted in as many gulps of air as expulsive cries, and accepted his new outer-uterine reality. The omnipotent God had learned something, somehow. The ancient of days was yet seconds old. The Bara Creator had become the Creation. 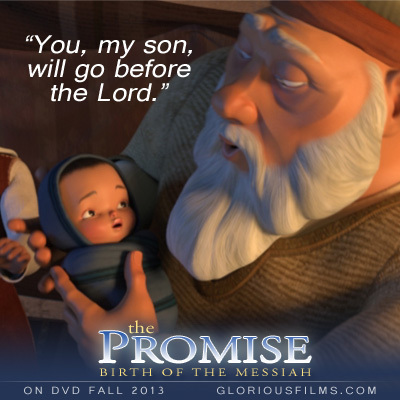 Miracle of miracles, Yahweh Elohim had come to earth as a baby. 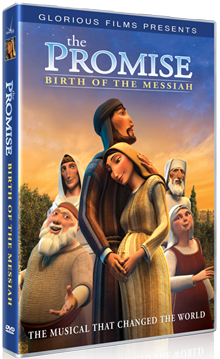 Get more out of the story of Jesus’ birth through this process of read, contemplate, think, pray and watch. Contemplate: What is a sin you’ve committed that God used to teach you a lesson that has since then benefitted other people in some way? Think: After the shocking revelation that his son would be named John, the friends and family gathered at Zechariah’s house were in for another surprise. Zechariah’s prophecy must have really shocked them. First of all, old Zach hadn’t spoken in about 10 months, so to hear him say anything was unexpected. 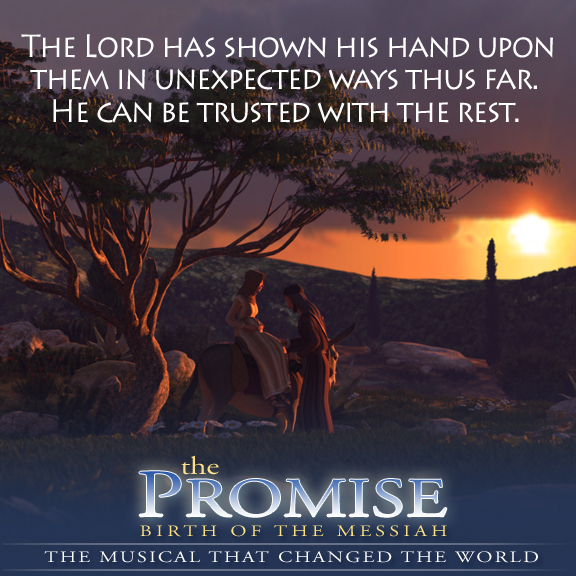 But to hear him bellow out such a confident prophecy that the coming Messiah was in fact on the way – and that his newborn son John was going to be a prophet, well, that was just shocking. Have you ever looked closely at what Zechariah said? He spoke of God’s work as having already been accomplished. 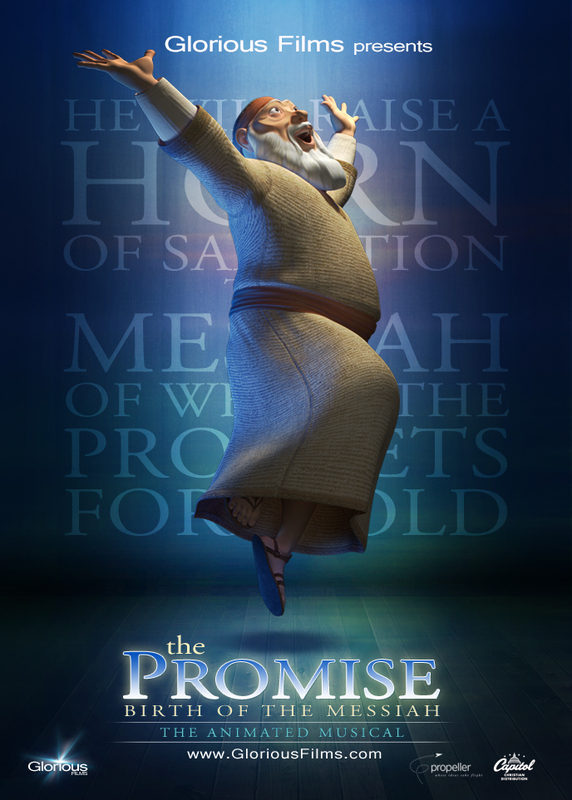 “He has redeemed his people.” “He has raised up a horn of salvation.” Zechariah’s incredible confidence in what God was going to do must have been shocking as well. Zechariah is a great example of what God can do in our life through difficulties, even those caused by our own sins. Zechariah, the one who temporarily doubted God, was now Zechariah, the man who trusted God’s Word so much that he spoke of future promises as already having been fulfilled. That kind of confidence goes way beyond blind faith, and is rooted in deep experiences with God. 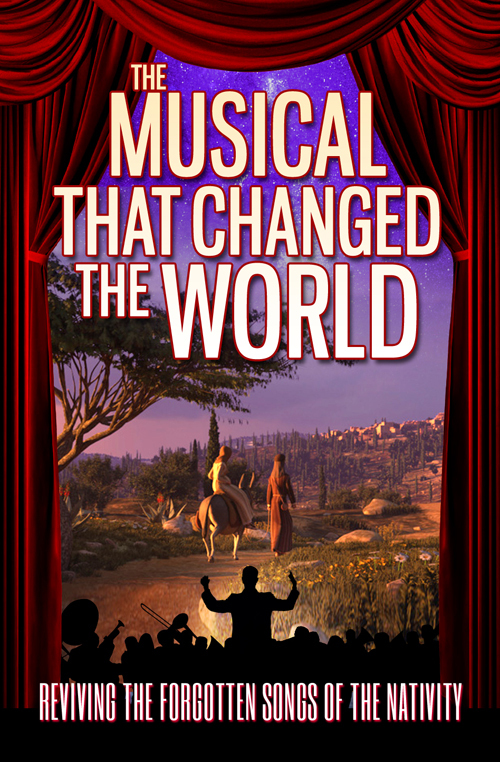 Yes, Zechariah doubted God in the temple, and he suffered from speechlessness for 10 months because of it, but what he learned in the process catapulted his faith to a new level and resulted in a prophetic explosion that shone a bright light on the coming Messiah, and became a song sung by the church for centuries. God uses our strengths – and our weaknesses – for His purposes and His glory. All we have to do is trust and obey. Pray – Lord, use me. Use my strengths and my weaknesses for your glory. Use my triumphs and my failures for your purposes. In Jesus Name, Amen. Research for this article was conducted using the Olive Tree Bible Study App. Contemplate: Why did the Lord tell Zechariah to name his son John when it was such a common name in Judea at that time? Think: This was no ordinary circumcision and baby naming event. One can only imagine that the extraordinary events which led up to this moment created much anticipation to see this child born to Elizabeth and Zechariah. Elizabeth’s birth at such an old age, Zechariah’s inability to speak, and the rumors of the angelic appearance and his announcement concerning the special nature of this child – all likely led to a capacity crowd that stretched the couple’s humble home to capacity. I’ll bet there wasn’t even enough cake to go around. Then, with every eye watching them, it was time to name the baby. Naming babies at their circumcision went all the way back to Abram’s name change to Abraham on the day circumcision was first instituted (Genesis 17:5,10). The group agreed that certainly the boy would be named after his father, since he was their only child (it was only fitting, and was the tradition, after all). They must have been shocked when Elizabeth objected, saying “No; he shall be called John.” Surely in her old-age and over-excitement Elizabeth was slipping. Looking to straighten her out, they turned to Zechariah, who picked up a wax board to write on. But his writing went awfully fast to have written “Zechariah,” they thought. When he turned the writing board to them with the name “John” on it, surely the small crowd let out a gasp. Something mighty unusual was taking place here. And that’s when things really got interesting, because Zechariah’s mouth was opened and his tongue loosed and he began to prophecy like the prophets of old (see next devotional). Pray: Lord, we praise you for your wonderful grace. It is by grace that we are saved, so none of us may boast (Eph 2:8). During Christmas, we turn our eyes to the coming of the One by whom our salvation was purchased, allowing your grace to flow to us freely. Thank you for coming, and living, and dying for us that we might be recipients of such wonderful grace Lord Jesus. Amen. 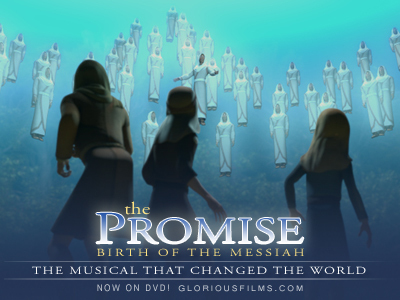 Watch: “His Name is John!” from The Promise at http://youtu.be/b0g3D9u1VW4. Research for this article was conducted using the Olive Tree Bible Study App . Contemplate: If something really great happened in your life, what would you do first? Think: You just got good news. You did a victory dance in the kitchen. Then you pulled out your favorite electronic device and posted about it to your 1,000 closest friends. What did you say? maturity, as she references Old Testament passages about the Messiah, and looks forward to her son’s ministry on the earth with uncanny insight. Mary’s status was not directed at mere personal excitement. 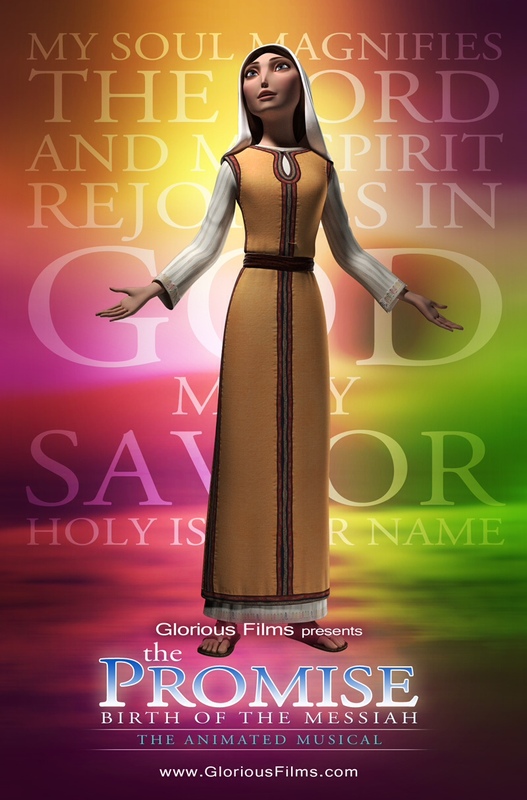 She channeled her personal jubilation into praise to God. She was truthful about how blessed she felt, but the post was not really about her, it was all about God. She began with, “My soul magnifies the LORD…holy is His Name…” and ended with “He has helped his servant Israel…” Mary had a deep abiding faith. Her life was consumed with God. Isn’t that why she was chosen to bear the Messiah? I think so. And I think those are the qualities that God is still looking for today in His servants to whom He really entrusts the important stuff, don’t you? Pray: Lord, my soul magnifies You! I rejoice that you are my Lord, Saviour and King. When I open my mouth, it will be to praise you among all peoples, because you are supremely worthy of praise. Amen. Contemplate: What is the “Spirit of Christmas?” What role does the Holy Spirit play in your life? Think: There’s a lot of talk about “The Spirit of Christmas,” during the holidays, but very little of it has anything to do with “God, who is Spirit.” The Father, Son, and Holy Spirit is often upstaged by a “moralistic trinity” of peace, prosperity and mysticism. Christmas is just a magical, feel-good time of winter celebration with friends and family. Not so with the original Christmas story told by Luke. The Father, Son and Spirit all appear in the first 18 verses of Luke – and by 18 verses later, they’ve each been mentioned again. God is clearly the center of the first Christmas event. 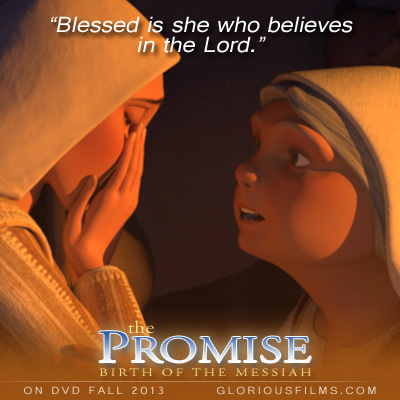 Mary carried the Messiah, and she made this known to all around, exclaiming loudly, “Blessed are you among women, and blessed is the fruit of your womb! 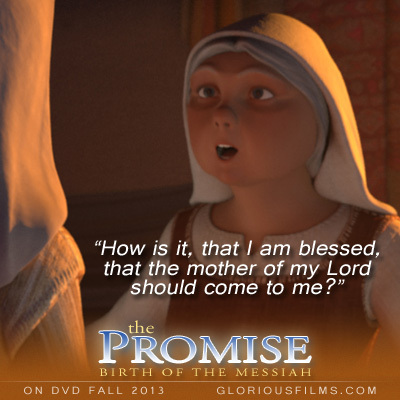 And why is this granted to me that the mother of my Lord should come to me? (Luke 1:42-43 ESV). That’s no lucky guess. That’s the illuminating power of the Holy Spirit helping her understand what is going on. Jesus came to earth and was announced as Emmanuel, which means “God with us.” When He ascended He promised His disciples, “I will be with you always, even to the end of the age (Matthew 28:20).” At Pentecost He sent the Holy Spirit to all believers in order that we may experience His miraculous presence as He gives us power to use spiritual gifts, to understand God’s Word, to witness for Christ, and even to be convicted of sin. Truly, in the person of the Holy Spirit, God is with us still. The same Holy Spirit who was powerfully active in the first Christmas event promises to be active in our lives this Christmas. Isn’t that sort of amazing? He is with us. May our Christmas celebrations acknowledge the true Christmas Spirit who works in our lives and in our world powerfully to this day. Pray: Holy Spirit, we praise you for your activity in the first Christmas in our lives this Christmas. We need your illumination to understand the Word and Will of God, and we need your nudging to keep our eyes and hearts focused on the true meaning of this season. Thank you for being with us as we celebrate the birth of Christ, and we pray for your power to do the will of God this Christmas season. Amen.